Eat Holistic LLC owns and operates www.kirstinscancercare.com. By browsing and using Eat Holistic LLC’s website kirstinscancercare.com, its blog, the book “Confessions of a Cancer Conqueror” and any educational training programs or downloadable resources downloaded from the website or associated with coaching and consultation sessions as well as any coaching and consulting services offered by Eat Holistic LLC (herewith “Services”), User agrees that the information and opinions contained in the Website and Services are for informational and educational purposes only, and are not meant to be a diagnosis, medical or otherwise, of User’s health situation or a prescription for treatment. In using Services User agrees to not rely on its content as legal, financial, tax, health or medical advice or as a substitute for advice given by User’s medical team or other healthcare professional, or to delay diagnosis or treatment of a medical condition. The content and recommendations offered are not meant to be a substitute for regular check-ups and examinations by User’s physician. User’s use of Services is entirely at User’s own risk, for which Eat Holistic LLC shall not be liable. It shall be User’s own responsibility to ensure that any products, services or information available through Services meet User’s specific requirements. Should User have concerns or questions about User’s health or any medical condition, User is to please consult his or her medical team or other qualified health care professional for advice immediately. The information provided in Services is true to the best of Eat Holistic LLC’s knowledge. Eat Holistic LLC does not warrant that the information is up to date, accurate, complete, and not misleading. The content also may not be available at all times as Eat Holistic LLC may change or remove any part or all of this information without notice at any time. By using Services, User agrees to use judgement and conduct due diligence before taking any actions or implementing any plans suggested or recommended in Services. User accepts personal responsibility for the results of User’s actions, including any harm or damage suffered as a result of the use, or non-use, of the information available in Services. User recognizes and agrees that the use of this website including implementing any suggestions set out in this website and the use of resources found on this website does not constitute a professional client relationship between User and Eat Holistic LLC and its professionals. User agrees that Eat Holistic LLC has offered no guarantees about the results of taking action, whether in association with Services or not. User’s ultimate success or failure are the result of User’s own efforts, particular circumstances and situations beyond the control or knowledge of Eat Holistic LLC. User also agrees that prior results do not guarantee a similar outcome. The results of other clients of Eat Holistic LLC as a result of using Services are no guarantee that User achieves similar or same results, success or otherwise. In some cases, if User buys any products, programs or services that Eat Holistic LLC may promote, a small compensation may be received, at no additional cost to User. Occasionally Eat Holistic LLC may reference the opinions of a third party author or group of authors in its own informational content. Eat Holistic LLC does not endorse, nor is responsible or liable for the accuracy, reliability of the third party content. Eat Holistic LLC is not liable, nor responsible for, any loss, damage or harm associated with User’s application of information obtained, or products and services purchased from, third party sites linked to from kirstinscancercare.com. User is solely responsible for evaluating the content available on kirstinscancercare.com. 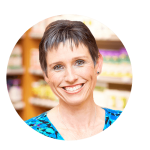 Testimonials found on this website from clients of the services and products Eat Holistic LLC offers are actual statements and have been truthfully conveyed on this website. Results conveyed by these clients may not necessarily be typical. User recognizes and agrees that the testimonials are not a guarantee of results that User or anyone else will obtain by using Eat Holistic LLC’s Services and Products. IN NO EVENT WILL EAT HOLISTIC LLC BE LIABLE TO USER OR ANY THIRD PARTY FOR INDIRECT, SPECIAL, INCIDENTAL, PUNITIVE, CONSEQUENTIAL, EXEMPLARY OR OTHER SIMILAR DAMAGES, INCLUDING LOST PROFITS, ARISING FROM THE USE OF OR INABILITY TO USE THE SERVICES, CONTENT AND SOFTWARE, THE PROVISION OF OR FAILURE TO PROVIDE SERVICES OR FROM ANY BREACH OF WARRANTY, EVEN IF COMPASS HAS BEEN ADVISED OF THE POSSIBILITY OF SUCH DAMAGES. THE INFORMATION, SOFTWARE, SERVICES, PRODUCTS AND CONTENT MAY INCLUDE INACCURACIES OR TYPOGRAPHICAL ERRORS. CHANGES ARE PERIODICALLY ADDED TO THE INFORMATION HEREIN. EAT HOLISTIC LLC AND ITS SUPPLIERS MAY MAKE IMPROVEMENTS AND CHANGES IN THE SERVICES AND CONTENT AT ANY TIME.